Julie and BIll, two of our volunteers who are auditing the museum’s ephemera collection, are coming across hundreds upon hundreds of historical ‘bits of paper’ as they work. 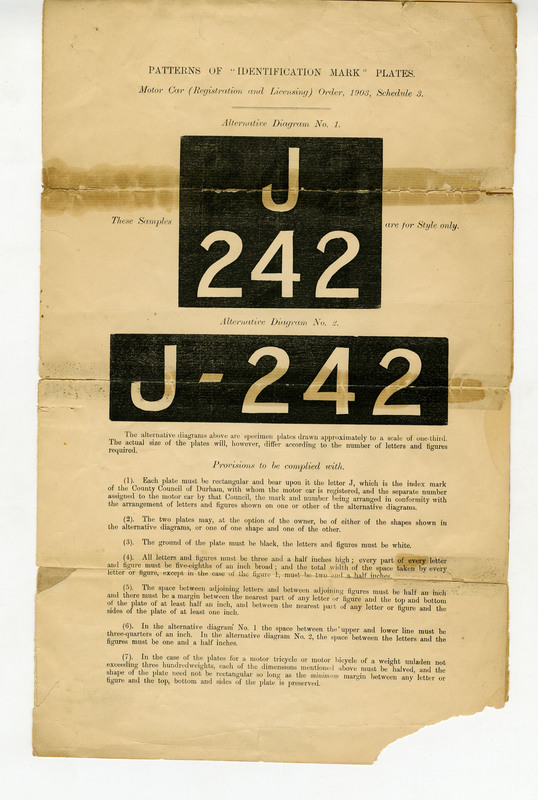 The piece they’d like to share with us this week is a car registration document (acc no. 1971-176) dated 29th May 1908. 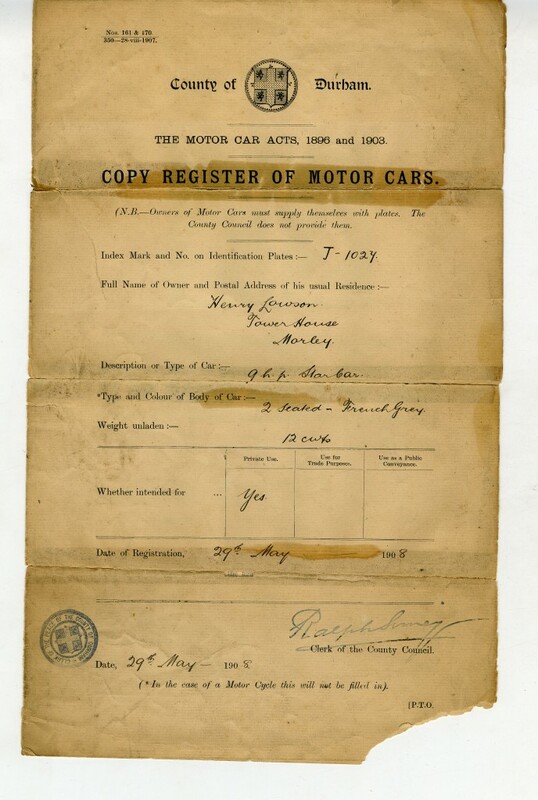 It’s for a two-seater, nine horse-power motor car belonging to Henry Lawson of Morley, who bought it for £210 (approx £21,000 today!) 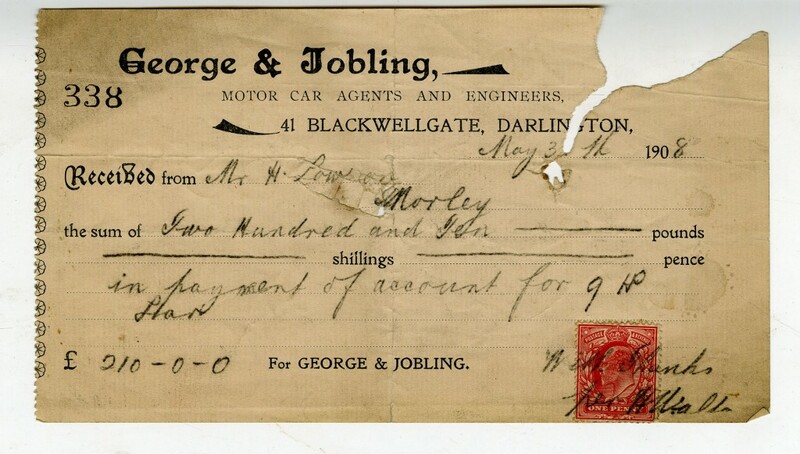 from George & Jobling, Motor Car Agents and Engineers of Darlington. The car resgistration number was J1027. 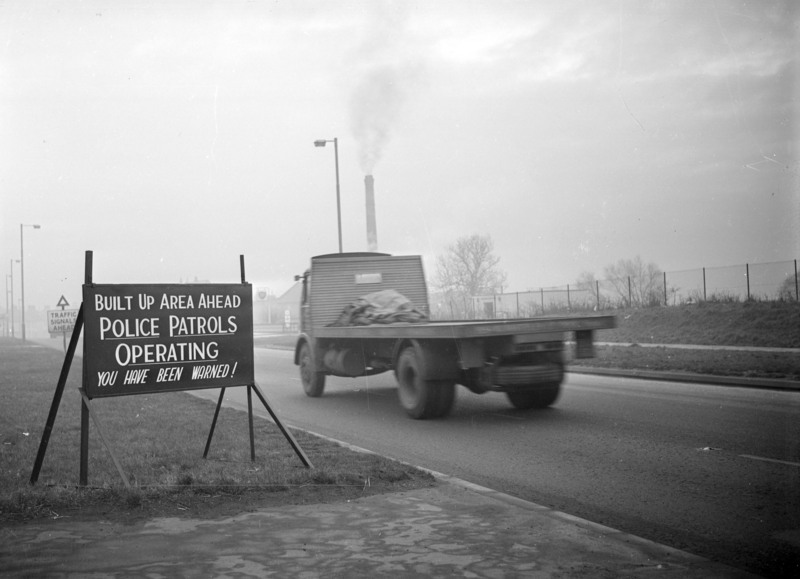 This entry was posted in Adventures in Collecting on June 26, 2014 by BeamishMuseum. Our ever-reliable scanning volunteer Stan is continuing to work through the museum’s millions of photo’ negatives. This week he has been scanning some of our material relating to the First World War, in connection with some of the events the museum is working on as part of the centenary commemorations. Here is one of the highlights of Stan’s scans this week. 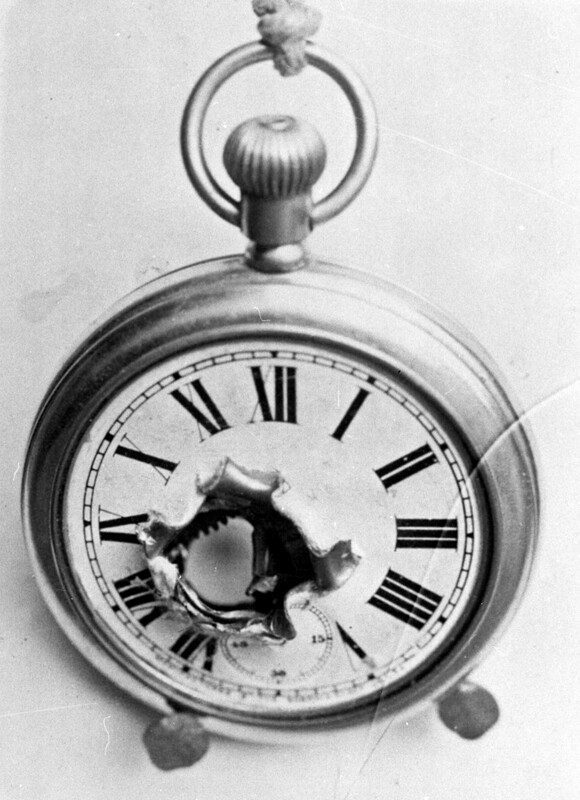 16119 – This pocket watch belonged to Charlie Lightfoot, a soldier in the Durham Light Infantry, and saved his life by stopping a bullet! 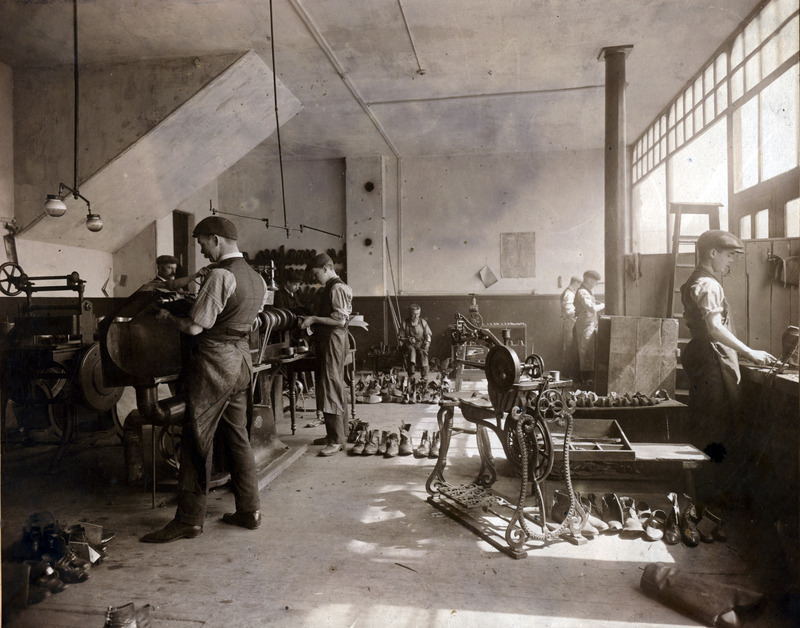 This entry was posted in Adventures in Collecting on June 19, 2014 by BeamishMuseum. ‘We really like this posters that we have just found which depicts in caricature the ladies who were working at Armstrong-Whitworth’s in the aviation department during the First World War. They all seem so individual with such amusing comments. We particularly enjoyed Miss I.F. Capfits, who evidently was too shy to appear’. This entry was posted in Adventures in Collecting on June 17, 2014 by BeamishMuseum. Julian, our Assistant Collections Project Officer, works extensively with the museum’s archive and photographic collection and here shares with us a couple of examples of the diverse range of images he encounters in a ‘typical’ day! This entry was posted in Adventures in Collecting on June 6, 2014 by BeamishMuseum.